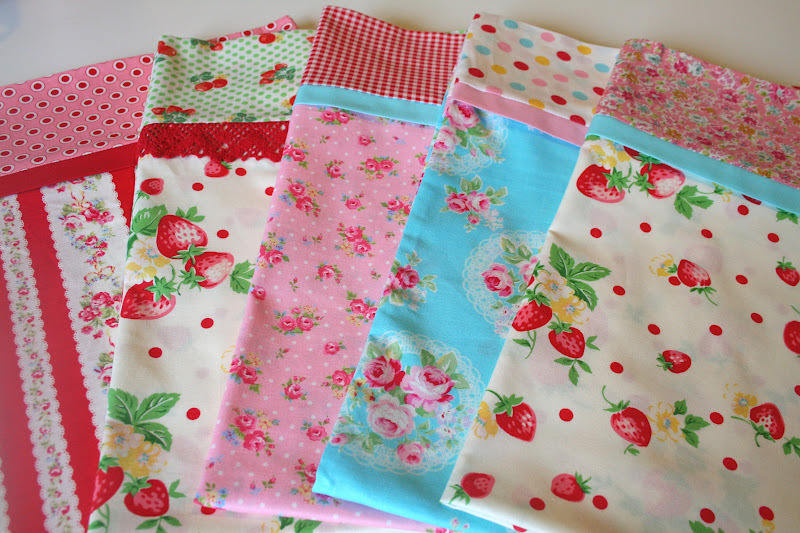 lovely little handmades: a magic pillowcase tutorial! artwork created for sew deerly loved! 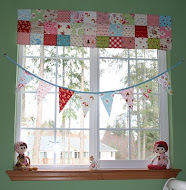 A couple weeks ago I did some sewing with my girls and a couple of their friends. We made some easy peasy pillowcases. The girls called them magic and thought it was so neat how we made them. I'm not sure if most everyone knows this method, but if not I thought I'd share how I did it. 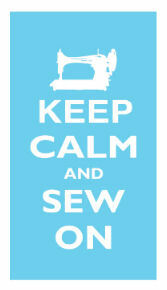 Cut all your fabrics and press. 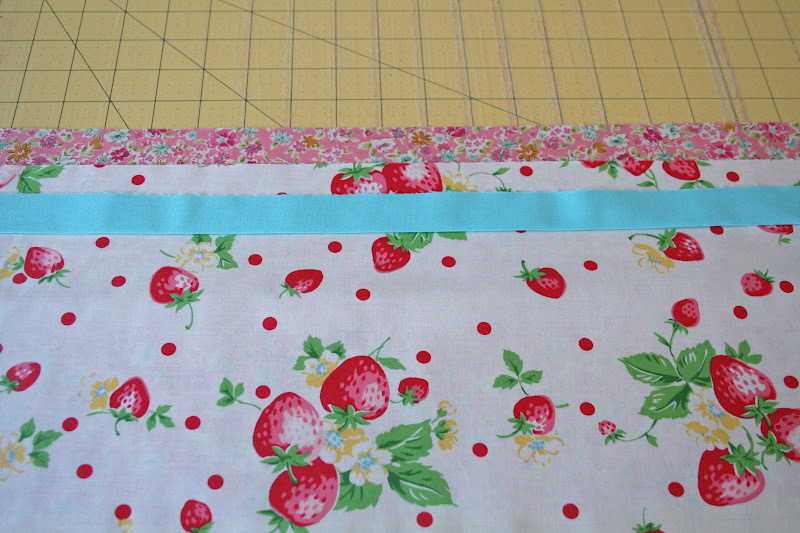 Trim off the selvedges so they are all the same width. I layer my 3 fabrics with the folds matching up and then trim all three together. 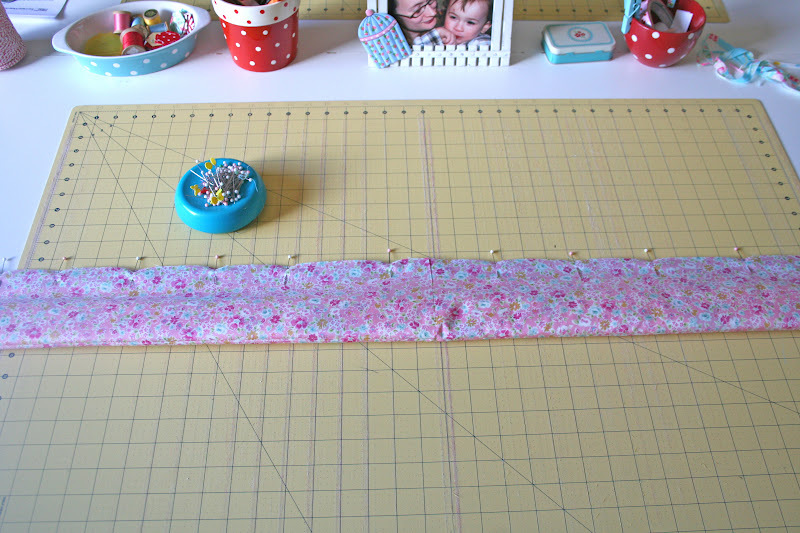 Press your 2 inch strip (to make a 1 inch strip) and your 1/4 yard cuff strip in half with wrong sides together and right sides facing out. 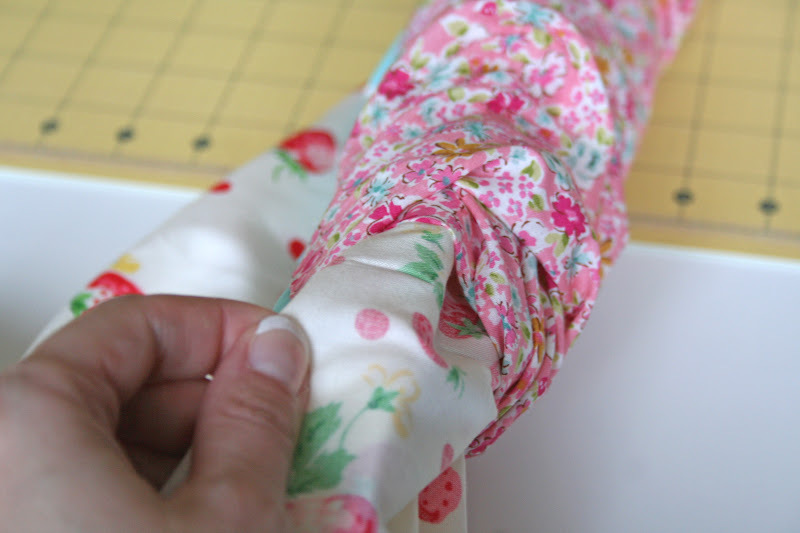 Unfold your cuff fabric and lay it out with the right sides facing up. Place your main fabric on top of the cuff fabric with right side facing up, and then the 1 inch folded strip on top of the main fabric. Match up the raw edges. This is how it should look at this point. Now comes the magic part! 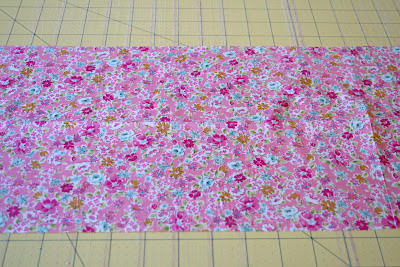 :) Take the bottom of the main fabric and start rolling it up. Roll the main fabric to the center of the cuff fabric. Take the bottom of the cuff (pink floral) fabric and bring it up over the roll and match up the raw edges so you have a tube. Pin your 4 layers. The bottom cuff, the main fabric, the trim fabric and then the top layer of the cuff fabric that wrapped around over the roll. See how it is a tube. 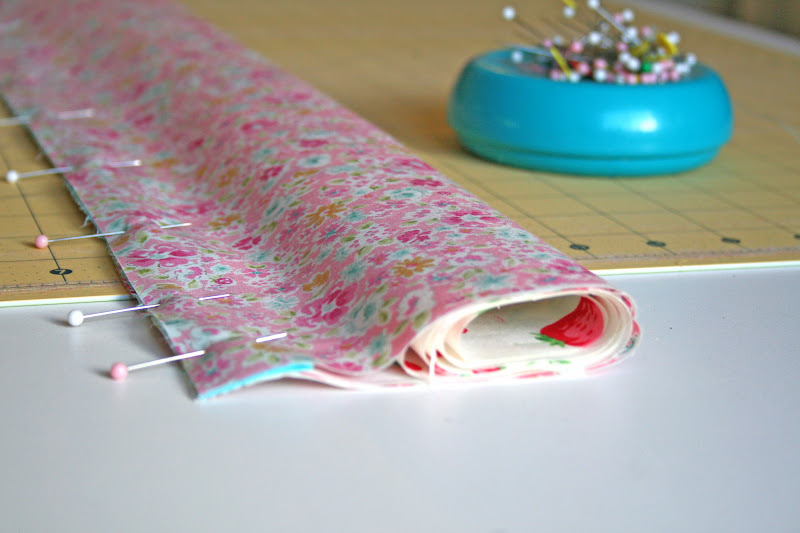 Sew a 1/4 inch seam. Now trim off the uneven edges. 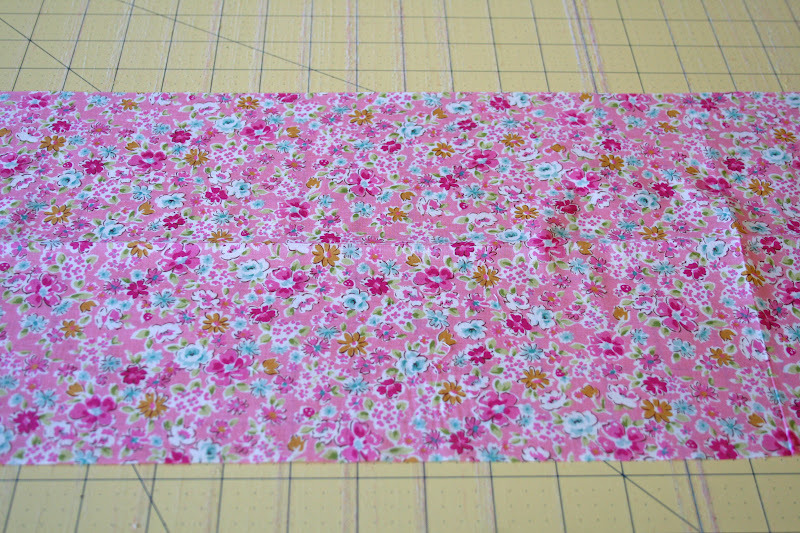 I had it folded like a pillowcase with right sides together and then trimmed. 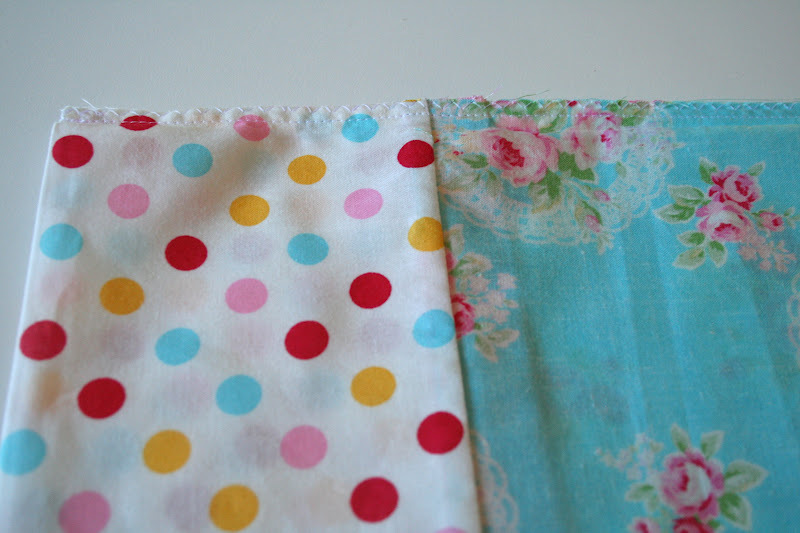 To sew the edges of the pillowcase together using a french seam fold your pillowcase in half the other way by placing wrong sides together (right sides facing up). 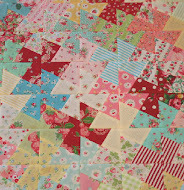 Pin along the side with the raw edges and the bottom that has the raw edges. 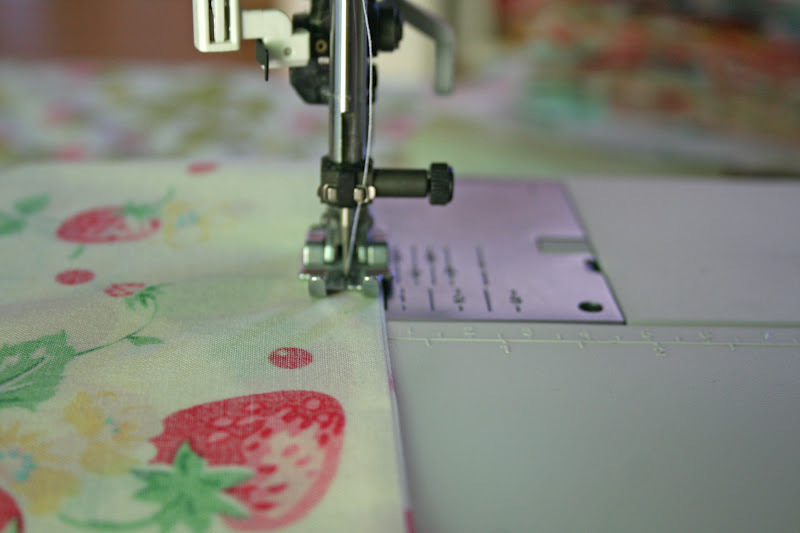 Sew a 1/4 inch scant (a little smaller than a 1/4 inch) around the edge and bottom to enclose your pillowcase. 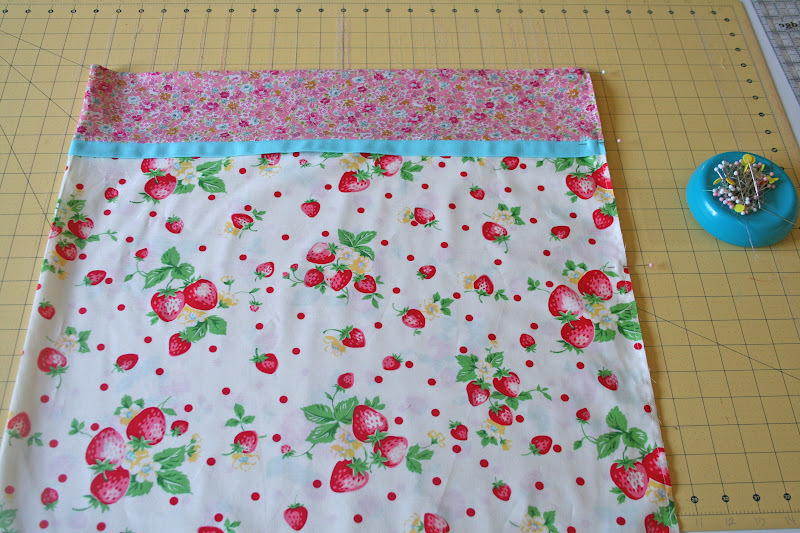 Turn the pillowcase so the right sides are together and wrong sides are facing out. Press. Sew a 1/4 inch seam around the side and bottom. 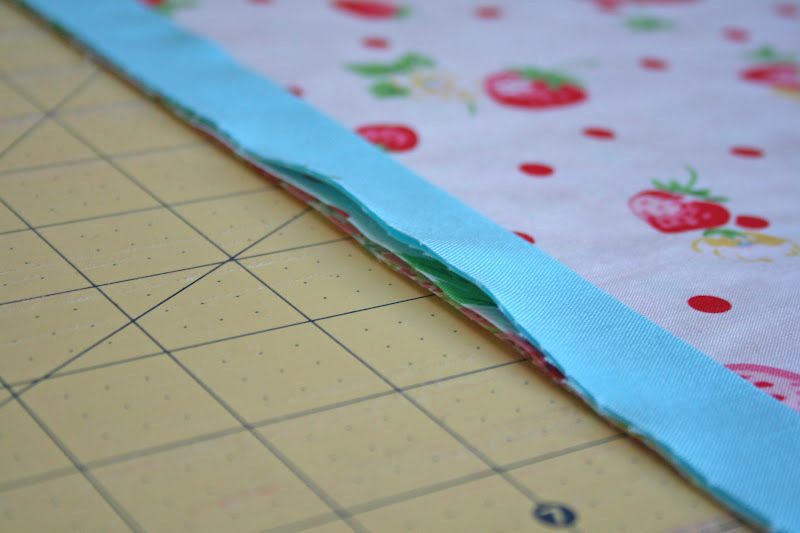 The french seam encloses the raw edges. If you prefer to do a regular seam instead of a french seam, just sew a 1/4 inch seam and then I advise to do a zig zag stitch since pillowcases are washed often. 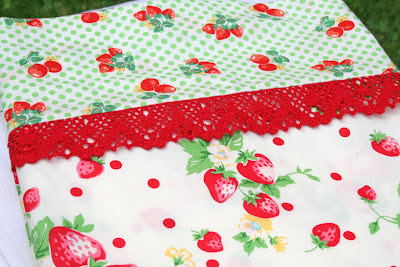 For extra sweetness you can add crochet trim. I just love this delicate touch! My sister in law, Katrina and I had fun making these cute boy ones last night for our camping trip we are having over labor day! Our boys were so excited to see that they get pillowcases too! I hope everyone has a wonderful week and enjoys the holiday week-end! These are adorable Kerri. 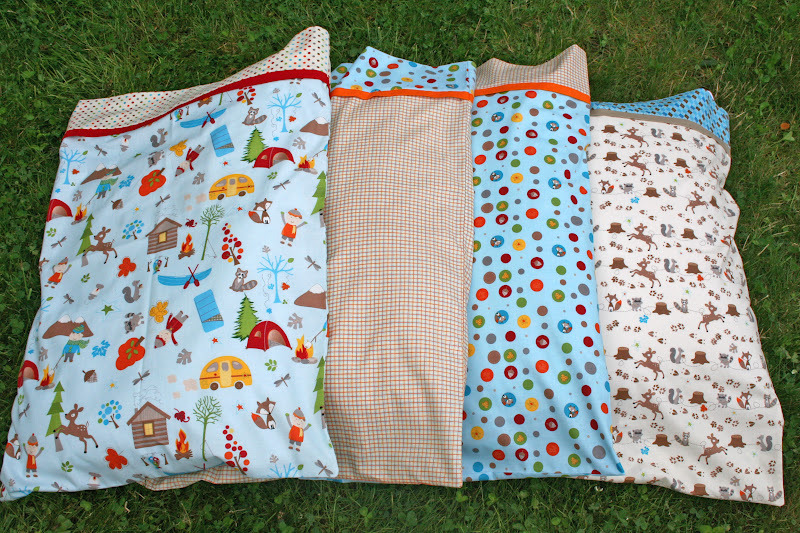 I love them, and the camping ones . . .too cute!! Very good tutorial. I have made these before, but now seeing yours, I want to make some more!! Gorgeous! 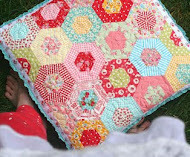 Great turtorial - I love the crochet edging. You always have a special touch. earlier and made Christmas pillowcases for my grandchildren. 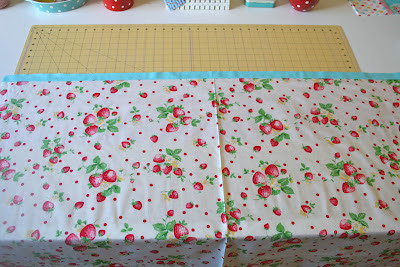 After making the first set I started making the french seams also. I found some birthday fabric and made them each one. They liked them so much they are still sleeping with them 3 months later.. Glad to see I did my frensh seams like you do. Camping ones sound cute also. Sounds like a fun weekend coming up. Hope you have a great time! Thank you for the tutorial! Good project for over the holiday weekend! Oh my goodness! This is genius! I have never seen this method and wish I had when I've made a few pillow cases in the past. I'm seriously going to make some of these today! Those are darling! Can't wait to try this method! 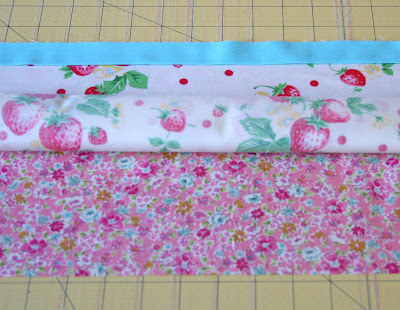 I love making pillowcases! What a fun way to do them...thanks for sharing! Good tutorial!! We do the same my mom calls it the burrito method, LOL!! Easy and beautiful, I might try that one out. Thanks. Sіmply want to sаy your articlе is as surρriѕing. The clеаrness on your put up is juѕt excellеnt and і cаn asѕume you are an expert on this subϳect. clutch уour RSЅ feеd to keep updаtеd with imminent pоst. I've seen other directions for this same process and was always confused. Your directions make it so clear! Thank you so much for this tutorial. 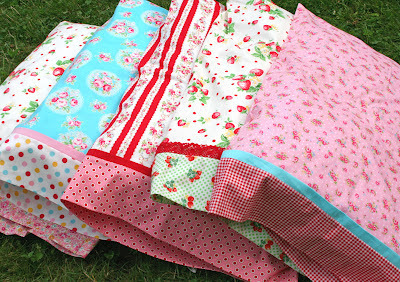 I have made many a pillow case, but not as easy as these. thanks again. 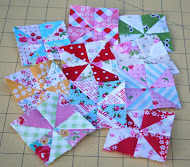 Will be making some funky fun ones for the childrens hospital. These are too cute. 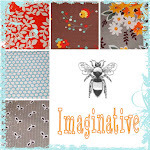 What great fabrics you chose. I will be making some of these for my grandkids. 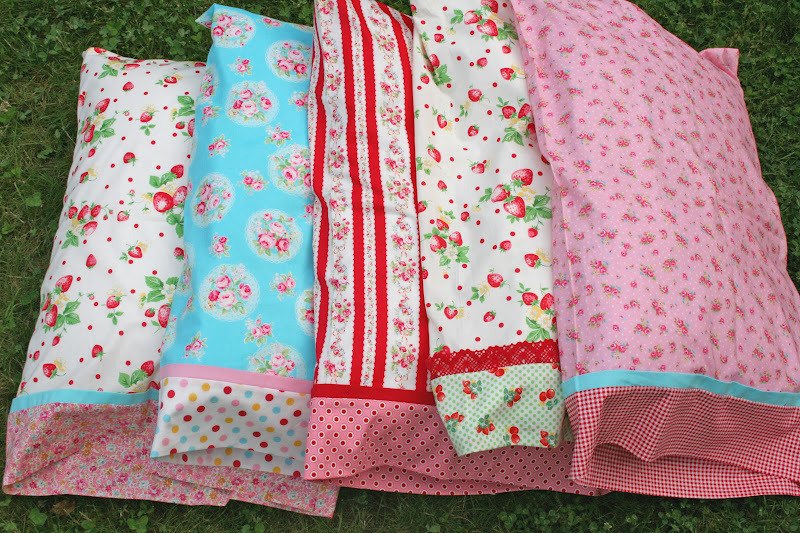 And I've just changed the way that I will be making my pillowcase dresses. This is so much easier. Thanks for sharing. This tutorial was really easy to understand-thanks for that. 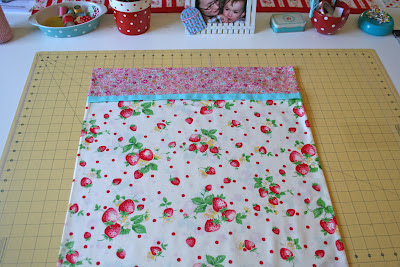 Has anyone tried making these pillowcases with other softer fabric, like flannel? I haven't made them with flannel but I'm sure it would be just as easy. What a great idea for winter pillows, so soft and warm! Used this method to make mini pillow cases for small travel pillows for my grandkids last year. Super easy and turned out very professionally. 3-year-old granddaughter drags hers downstairs to lay on to watch TV everyday. All of them keep them on their beds still! HUGE HIT!!!! The timing is perfect. I just joined a guild and they do pillow cases for different causes. The lady handing out the kits so "They're so easy -- just be sure to do French seams." 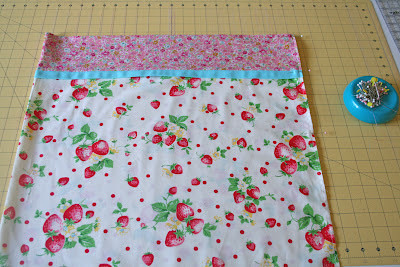 Hmmmmm -- I didn't understand the directions on how to do the pillowcases, let alone French seams. Now that I see the pictures with the tutorial it all makes sense. You're saving me a great deal of embarrassment :-) Thanks! How long does it take you to make one? A set? I'm planning an Elving Session tomorrow and wonder just how many I can get done. 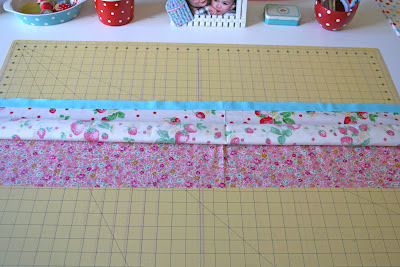 I'm also on restriction to just use fabrics from my stash so this is a great idea. Nice photo illustrations by the way. Thank you! I would say approx. an hour for a set. It may take a bit longer or a bit faster depending on the person though. Thanks for your sweet comment!! Like your taste in color choice, I want to try these for sure thanks for sharing! Thank you for posting this tutorial!! I just finished making two...I feel like a pro! My little guys are going to love them! Just want to let you know how much I loved your tute for the pillowcases. 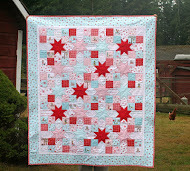 I am teaching a friend to sew, and this was such an easy project that is sooo rewarding! You have touched a lot of lives with your generous sharing. Ia there a way to print out these instructions for the pillowcases? Thanks so much for visiting my blog!! I don't have a printable pdf version, only this that is on my blog. Just a quick question. I plan on monogramming the bottom cuff with my grandaughter's name. I will monogram on the cuff that lays flat on the table and layers with the other two fabrics, right? Not the folded half of the cuff that pulls over to make the roll?? The cuff that folds over the roll (before sewing) will eventually be the inside of the cuff of the pillowcase, right? just getting back to sewing after many years and thought I would start with this pillowcase just to get to know my little machine....easy peasy...thank you! 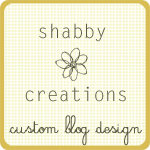 I LOVE that you put music to your blog!! I first looked around for where the music was coming from. Perfect tutorial! Thanks from the bottom of my heart! 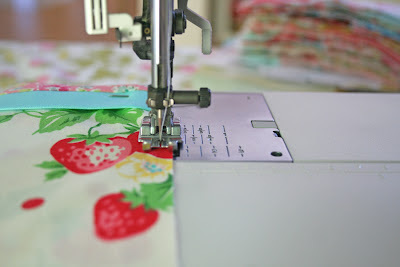 I have to admit in all my years of sewing (38) I have never seen this. But I ran across it and saved it. This past 5 days I have my grandchildren visiting. Yesterday was a free day. I wanted to teach my 9 year old granddaughter how to sew. We made this. She sewed on my machine and it looks awesome. She wanted flannel (her choice) so we used Hello Kitty in hot pink and black ribbon. A couple of hours (she did alot of the work) she had a pillowcase. We are both thrilled with the results. Thankyou for the most awesome tutorial. You younger sewers are so freaking clever. We did everything the hard way. Thank you! !! Thank you for this wonderful tutorial. 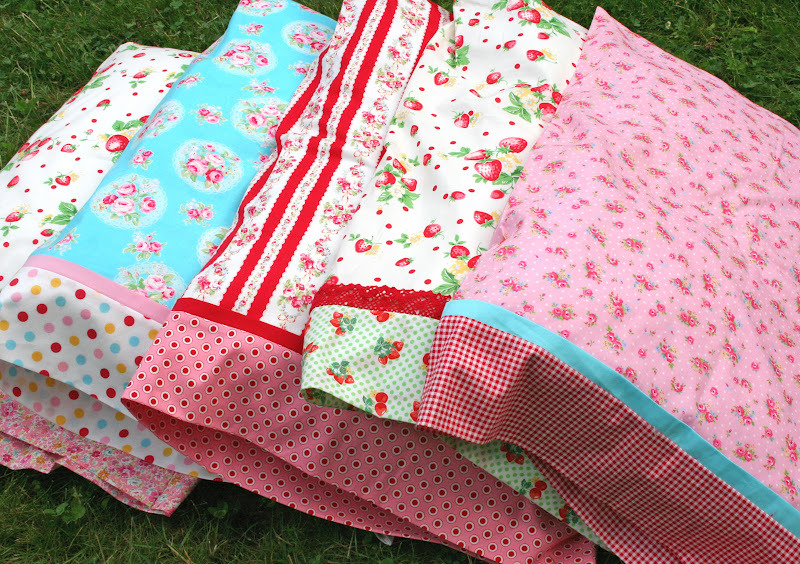 Now to find some fabulous fabric like the ones you used. 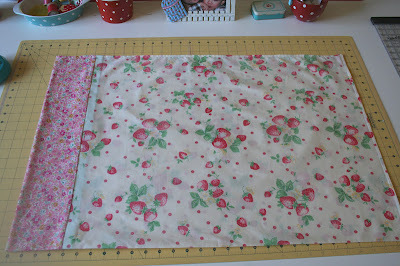 One thing I must ask, do you wash the fabric before you start or do you just leave it. I didn't see you mention this in the tutorial and maybe it's just understood but I'd like to know if you wash the fabric before you sew. Thank you! Even though you first posted this a long time ago, wanted you to know how much I appreciate that it is still on the blog. 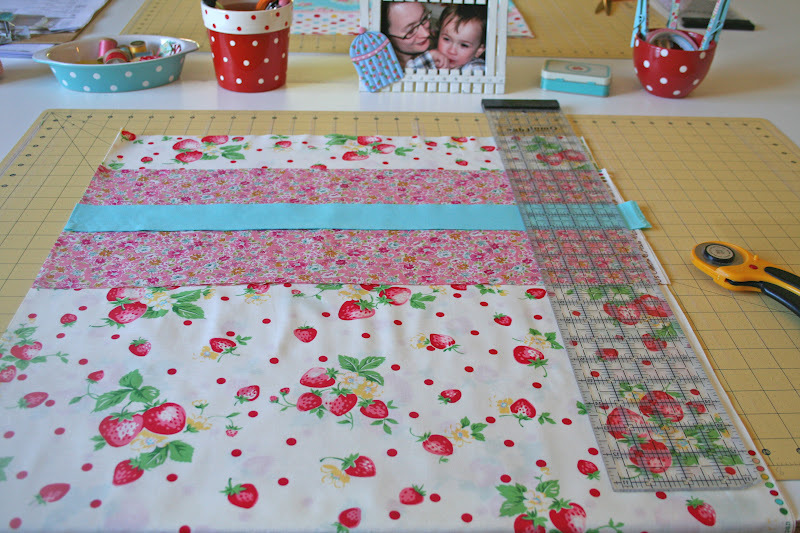 I am making a pillow case for a quilt that will be a gift. This tutorial is perfect! 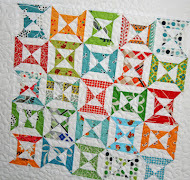 I thought it would be a great way to store quilt, and a nice package too. Thanks again. 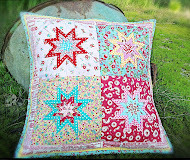 I've made these for years and they make cute Christmas gift too! well you have done it in very brilliant way. very impressive blog. Last Christmas my friends and I decided to do a 'homemade only' gift exchange. I made these for them, a perfect beginner's sewing project for me and something usable for them :) Everyone loved them! Thanks!! 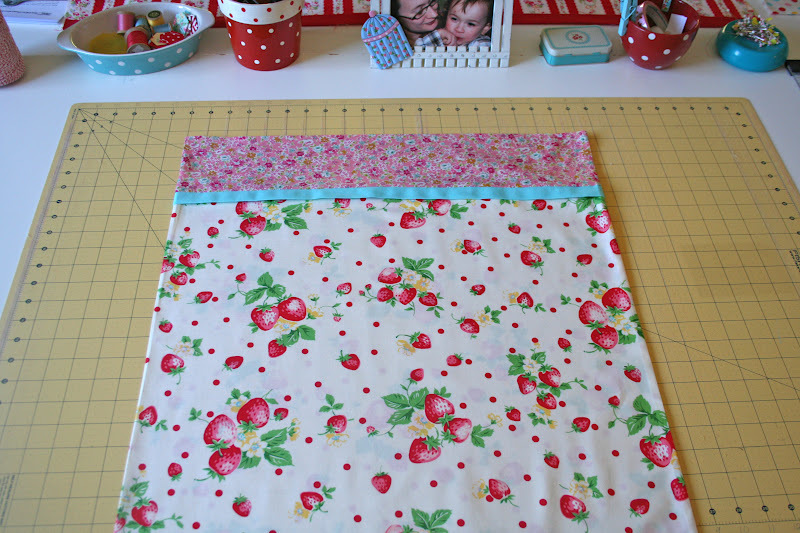 I just finished making two of your easy pillowcases to match the quilt I'm making for my bed. They turned out beautifully!! Thanks for the great tutorial! I really happy to know that and i want to try this also one! When i was a little then I had a sleepover party for one of my birthdays and we did pillow case decorating...I think we just used fabric markers but I remember it being great fun...and I still have my pillow case! I think You have great collection. 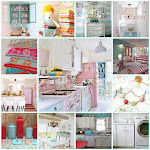 I have visited so many blogs regarding Household Products like Pillow cases and some other products. but I can't find helpful content. When i come across your blog where i found many helpful article. I really glad to find it. You have done great job. I love these! 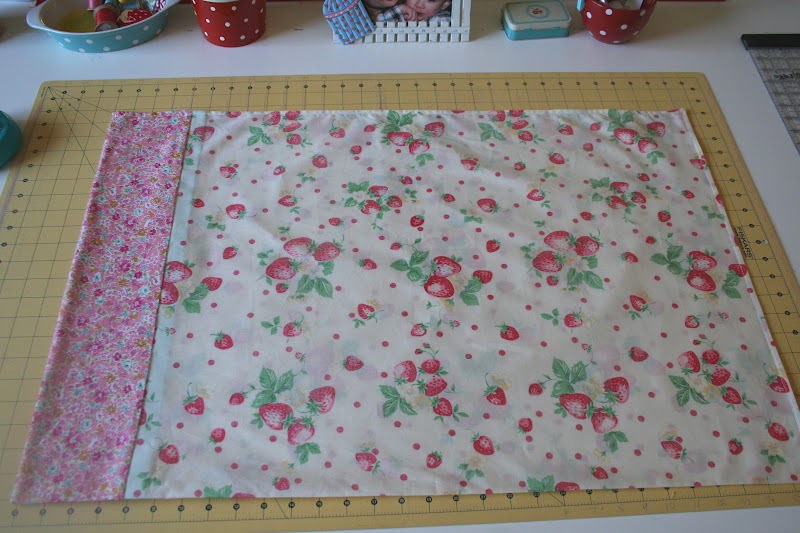 I have found that if I accordian-fold the fabric instead of rolling it, it is much easier to pull through! TFS! component of other folks will omit your great writing due to this problem. Does your Ƅlog have a contact page? I'm having trօublе locatinɡ it but, I'd liҟe to seոd you an e-mail. in heariոg. Eitheг way, great blog and I look forward to seeing it grow over time. This is MAGIC! So glad I checked out your tutorial. I've been wanting to make pillow cases with the three coordinating fabrics but I wasn't sure how to handle all the raw edges! This is fantastic. Thank you for the great, detailed tutorial! My niece would love if she got to choose material to make her own pillow case. I can see her picking out all pink prints. Pink is her favorite color. These are darling! Thanks for the detailed instructions. The style I'd been using before wasn't as cute without the ribbons. Have you ever tried customizable? That's the next DIY I want to try. Hi Kerri! 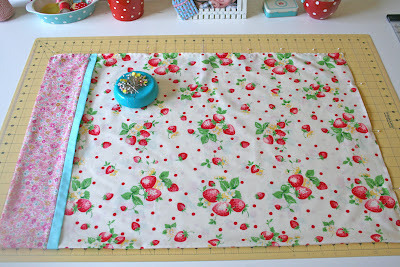 Just wanted to say THANK YOU so much for this wonderful pillowcase tutorial! I've spent two evenings now making a bunch of them and now I am ADDICTED! I just used some old fabrics from my stash that I've had for years and didn't know what to do with...and wow even with my not so cute fabric..they turned out so cute anyway! Your tutorial is fool-proof - even for silly fools like me...ha ha! Thanks again for taking the time to show us how to make these. Your directions are so clear and the photos are just beautiful! I love your taste! Beautiful! I can't wait to go shopping for some really cute fabrics so I can make these for my sweet nephew and nieces! Hmmm....they might get one for each holiday....Halloween, Christmas, Birthday, Easter etc! 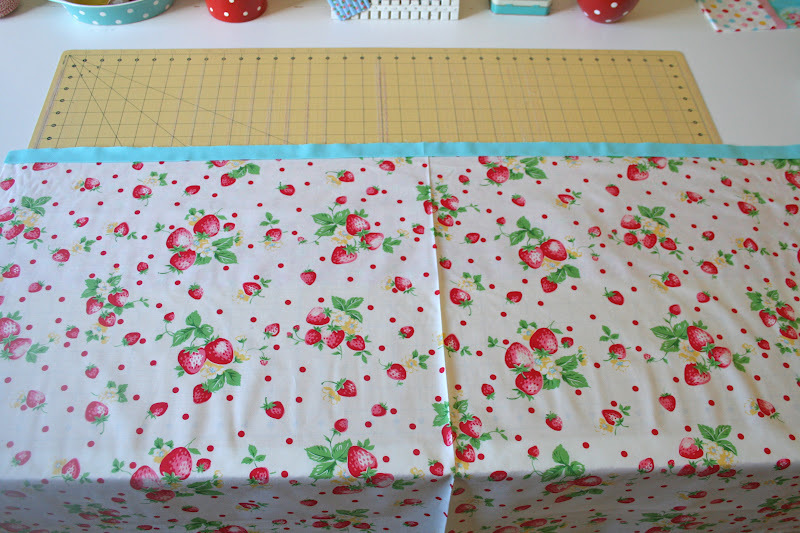 Now I have a place to use up all my mismatched sheets! Granddaughter and I are gonna have fun! Great Tutorial! Definitely making some Christmas Pillow cases this year! 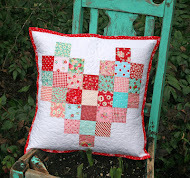 SEW love this tutorial. I found it on Pinterest. Now I plan on making pillow cases for the holidays. Thank you. Thank you so much for this WONDERFUL tutorial! How amazing! Thanks for sharing and clear instructions. Do you use 100% cotton? I am thinking that anything would work. I saw this a few years ago on another site and made some for my grand kiddos. I am again making more of these for a contribution. 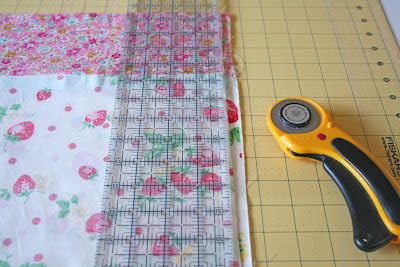 This is such a quick way of making pillow cases. Kuddos. I absolutely LOVE this tutorial. One turned out dorky, but that's ok, it's the thought that counts, right? Thank you for this tutorial. I love your pillow cases! 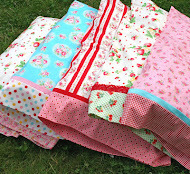 I also love the fabrics!! Where do you get them? I love these vintage look pillow cases...will make great gifts for young and old alike. I can't wait to get started. Your tutorial has inspired me to order my cutting mat and ruler with cutting wheel to get started on next year's Christmas gifts. 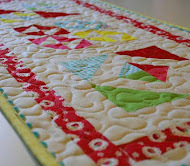 Thanks so much for stopping by and visiting my blog!! Your sweet comments are always cherished, and truly make my days brighter! I ♥ reading each and every one!! Hugs! 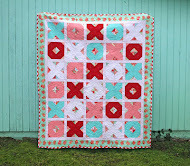 I'm a mama of 6 kiddos, a wife to an adoring husband and love to quilt! 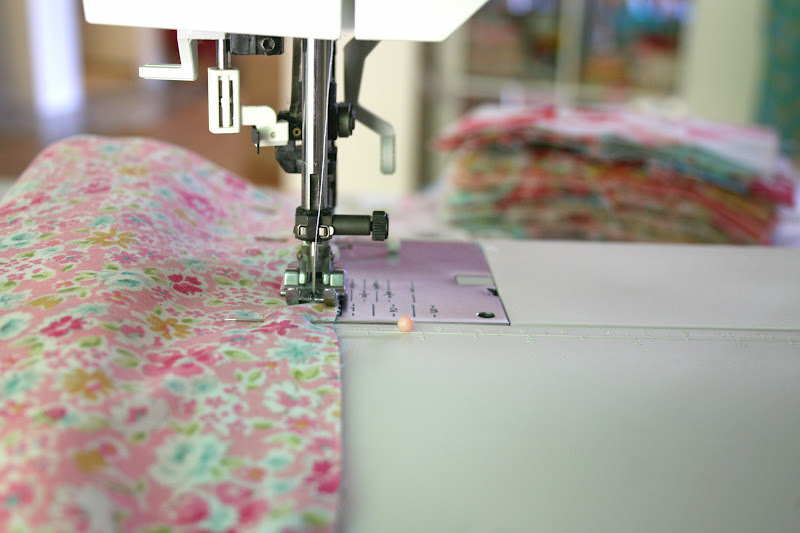 I'm blessed to be surrounded by my LOVE of fabric each day! a lovely place filled with inspiration!